Offering you a complete choice of products which include fan shaft grinding machine. We are offering a wide range of Fan Shaft Grinding Machine. 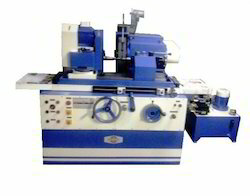 "PREMATO" Cylindrical Grinding Machines have been designed after studying modern requirements of customers. Our Machines are suitable for Production and tool room applications. Our Machines are tested as per IS: 2368.